I am sure many of you have been frustrated with the following scenario: You find a gorgeous looking piece in a wig shop, you try it on and decide to buy it. You get a fantastic cut and the sheitel macher styles it beautifully. Then a few months later you realize it has lost its lusther, that it is literally falling apart. Here are some pictures from my own experience. My Milano was purchased in 2007. It became necessary to buy a new sheitel when it started looking like the second picture just a year later. 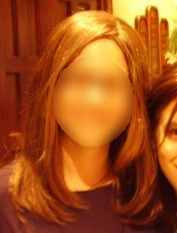 I paid $1100 for the sheitel which is a lot considering how quickly its quality deteriorated. Full review can be viewed here. I purchased the Yaffa Human Hair (probably contains a lot of Chinese) in 2007 off of Ebay from the Yaffa Wigs Outlet for under $100. When styled it looked pretty good as seen in the picture on the right. However, the wig was extremely knotty, thick and heavy and uncomfortable and did not even have a skin top. Upon getting it wet myself I saw what its natural texture was: tangly waves and the pic below shows how it looks today. So there you have it ladies... buyer beware. Just because a wig looks good in the picture or in the wig studio does not mean that it is good quality or that it will last for a long time. If the hair is treated eventually the silky luster will wear off and you will be left with dry, brittle processed hair. If the cap is not good, you will be left with wefts that are coming apart. I would love to hear your own stories in the comments below. You have to have a little sechel! I also have owned 2 terrible Milanos. The first was a "Reese" that knotted up terribly and the second was a band fall that was cheaply made. I sold both of them on Ebay after only about 2 months. 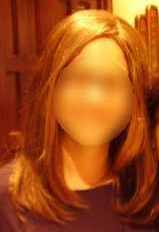 My first wig was a Yaffa I bought on Ebay as well. It was a 'Le Difference" that I also sold a few months later. The level of discomfort was unreal...so tight! I have been married for 2.5 years and only after 2 years did I bite the bullet and go for a Shevy. I have also been hearing great things about Miri Wigs. The Barefoot Contessa (Claire's premade of comparable length) sells for $1500. Not everyone can afford to--or even wants to--lay out that much cash up front. Sometimes "sechel" is doing the best you can within your budget. Additionally, the Contessas are made from scrap hair left over from Claire's custom sheitels, which means that the color range is more limited as it is dependent on the customs that people are ordering at any given time... and they are only sold out of the Brooklyn showroom, which makes them virtually off-limits to anyone who lives out of the Tri-State Area. Anonymous #1 - Don't worry I have a little more "sechel" now. But really the issue was more the fact that I didn't live in Brooklyn and did not have access to Claire. Milano has sheitel machers situated around the globe and they also ship them to people "out of town". I would appreciate if anyone in Brooklyn could find me a perfect Contessa in light ASH Brown with blonde highlights and send it to me. Is it secheldik to buy a kiki as one's only sheitel for $1200? I'm the anonymous poster directly above Chavi. Whether or not purchasing any particular sheitel is "sechel'dik" involves many variables -- the quality of the sheitel, its intended use and desired lifespan, and the amount of money one can afford to spend all factor into the decision. I would suggest that you ask a friend with experience in sheitels, or email Chavi (her email address is on the main site) with the specifics. i had a contessa. i bought it when i got married. the length i wanted cost more and it was $1800 worth every dime. i spent that much money 10 yrs ago. that's how long i'm married. the shaitle lasted all 10 yrs until now!!! even though they are made from "scrap leftovers" as someone said. they are beautiful and hold up. and ps....i got mine in chicago not ny! i just bought 2 new miri shaitles. they are also beautiful and seem to be of the same high quality as the contessa that lasted me 10 yrs. When I wrote "scrap hair" I meant that the Contessa line is made out of hair left over from Claire's custom orders. I didn't mean to imply that the Contessa hair is of a lesser quality than the custom hair. 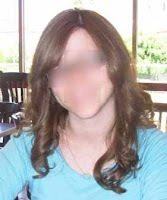 My friend sells miri wigs and can sell me one at a really good price. I'm wondering how they are compared to shevys. I know a few people who bought shevys recently and they really weren't good pieces so i don't know if its worth it to spend all that money and not be guaranteed a good wig. I would love to hear any info about miris. I just recently bought a custom made band fall for $1200 from a private sheitel macher. After day one I noticed hairs coming out and she said this will happen for the first few months..does this sound normal to anyone?? Im so worried, because I spent all of my own savings on it...! Does anyone know about Simone wigs (the one on ave m next to Moishe's supermarket)?